On January 8, 2018, the Pohnpei Women Council (Council) celebrated the passage Pohnpei’s Family Protection Act that was passed by the Pohnpei State Legislature on November 7, 2017 and signed into law, SL 9L-56-17, by Governor Marcelo Peterson on December 12, 2017, through a luncheon held at the Governor’s Conference Room. Attended the luncheon were Officers and members of the Pohnpei Women Council, Governor Marcelo Peterson, members of the Pohnpei State Legislature, Australian Ambassador George A. Fraser, non-government organization representatives, civil society members and state officials. President of the Council, Ms. Susana Sohs, thanked the Governor, the Legislature and Australian Government for their support in passing the Pohnpei Family Protection Act. “ This is a very important legislation as it recognizes the value of family structures and the obligation of family members to maintain the honor and respect of our custom and tradition. It is time that we accept and admit that domestic violence is a crime. This act of crime is not accepted in our culture, it should not be tolerated and violators should be punished”, state Ms. Sohs. The Family Protection Act has been pending with the Legislature for over 10 years and finally passed in 2017, due to support of the government and NGOs through robust educational awareness raising held throughout the islands. 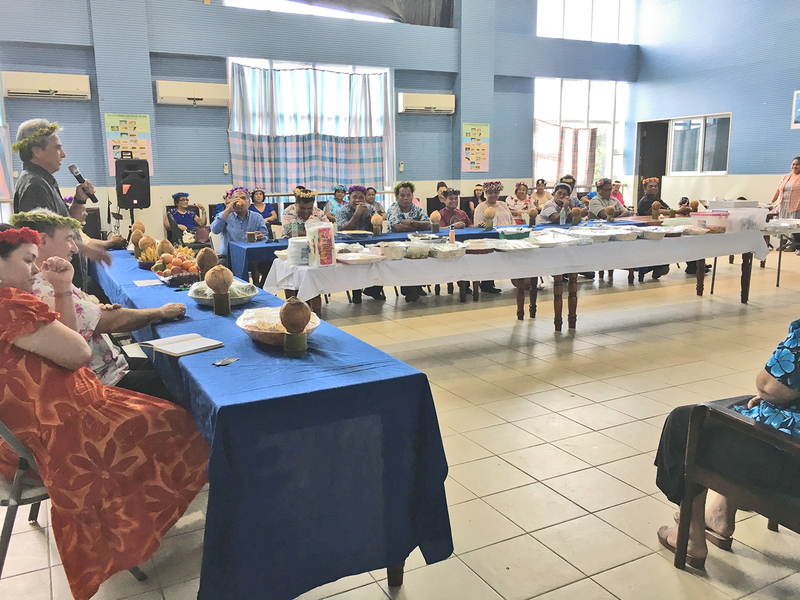 Governor Marcelo Peterson thanked the Pohnpei Women Council for hosting the luncheon and assured the Council members that his office will remain open to provide assistance needed by the Council. He stated that although the Act has been signed into law, there are still work to be done. His office is in the process of formulating a task force to work on the Act and invites the Council to select members to be on the task force. Vice Speaker Nixon B. Soram, on behalf of the Speaker and members of the Pohnpei State Legislature, joined the Governor in thanking the Council for their generous host and stated that the Legislature will continue to work with the Council to address issues relating to women. He reiterated the need to improve collaboration with NGOs and civil society. Australian Ambassador, George A. Fraser also thanked the Council for inviting the Australian Government and stated that the Australian Embassy offers trainings and workshops on domestic violence and invites members of the Council to attend. The Australian Embassy has been a great advocate in combatting domestic violence in the FSM. The day ended with traditional sakau (kava) at the Pohnpei State Legislature building.